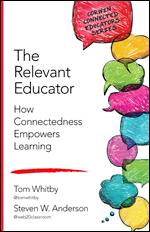 Earlier this week my friend Scott McLeod tagged me in a post that he had written in which he describes 5 things in education we need to stop pretending. He challenged me along with several others to come up with our own lists of those things we need to give up and move past in order to make real change. I encourage you to read Scott's post along with the collection of statements other have made. That technology is something to fear and that it will just one day "go away." That the role of the school leader has become too managerial and there's no room for instructional leadership. That summative assessments provide a clear picture of student learning and understanding. That standing in front of kids and talking for 40 mins straight actually teaches anything. That social media can't be a valuable conduit to information and understanding. What do you think? What are the 5 things we need to stop pretending? 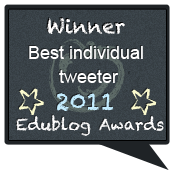 When you write you post tag it with #MakeSchoolDifferent so everyone can reflect. Recently, I was talking with a few school administrators on how they could better communicate with their parents and the community. One obstacle that many schools and districts face is figuring out the most effective ways to ensure all are well informed and have all the information. Traditionally, notes home in a Wednesday Packet or using a website have been used. However, it seems that life sometimes gets in the way of these traditionally methods being effective. In my conversation with these leaders we talked about the struggles they have and how non-traditional means could be used to reach larger parts of their communities. Now we have to remember, communications is more than just information. Sure, the upcoming athletics schedule or after-school meeting times are important. But equally important are the stories that are told through the learning that happens everyday in every school building everywhere. There are usually many great things that deserve to be told each day. Those stories can be powerful and go a long way in building support with the community. I've been an advocate for the school leaders to be a walking PR Machine for their schools for a while now. Mobile devices we can carry in our pockets are powerful. They can take pictures, record video and audio. And combine that with access to the Internet, those can be shared across the globe in an instant. So during a walkthrough or just on a stroll through the building, its easy to capture, tell and share those stories. In my conversation with the school administrators on sticking point keep coming up over and over again. While there are many great places to share these stories, it takes so much time to post them to all the various places. Sharing a tweet on Twitter, and a post on Facebook and a post on Instragram and a brief story on Tumblr and on and on and on, it can be overwhelming or too much to keep up with. If you've heard me before I've professed my love for all things IFTTT. The premiss is that when you do something (take a picture, post somewhere, etc.) then something else happens somewhere else. For example, a recipe I use all the time is if a picture of me that I am tagged in on Facebook is posted there, then that picture is automatically saved to a folder in my Dropbox. I set up the recipe one time and IFTTT does the heavy lifting for me after that. There are recipes for all sorts of things. Weather, data, blog posts, controlling your lights, if you can think of something you want to happen when you do something there is probably a recipe for it. So my love of IFTTT got me thinking. If the barrier to using these means of communication is not being able to keep up with them all, then IFTTT could be the answer. You set things up one time and done. 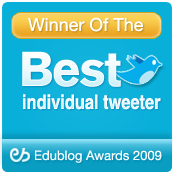 RSS to Twitter-Automatically take blog posts or website updates and have them posted to Twitter. Post Instagram Photos to Twitter as Native Photos-One of the problems with posting Instagram photos to Twitter is they appear at links. This recipe will turn those links in to full photos. Post Facebook Status To Twitter-Update your Facebook status? This recipe will auto-post it to Twitter. Wish People Happy Birthday on Facebook-Have staff or student birthdays in Google Calendar? This recipe will wish them Happy Birthday on your school Facebook page. And now with their new DO App, its even easier. The DO App automates the process even more by taking a lot of the guess work out things. Designed for photos and notes, the DO will will make it that much easier and frankly remove any excuse you have for sharing. So after some time setting things up and talking about what stories to tell and how often, these school leaders were ready to share with their communities all the great things that were happening behind their walls. What about you? How do you make the sharing process easier in your building? What tools are you using? Leave your thoughts below. 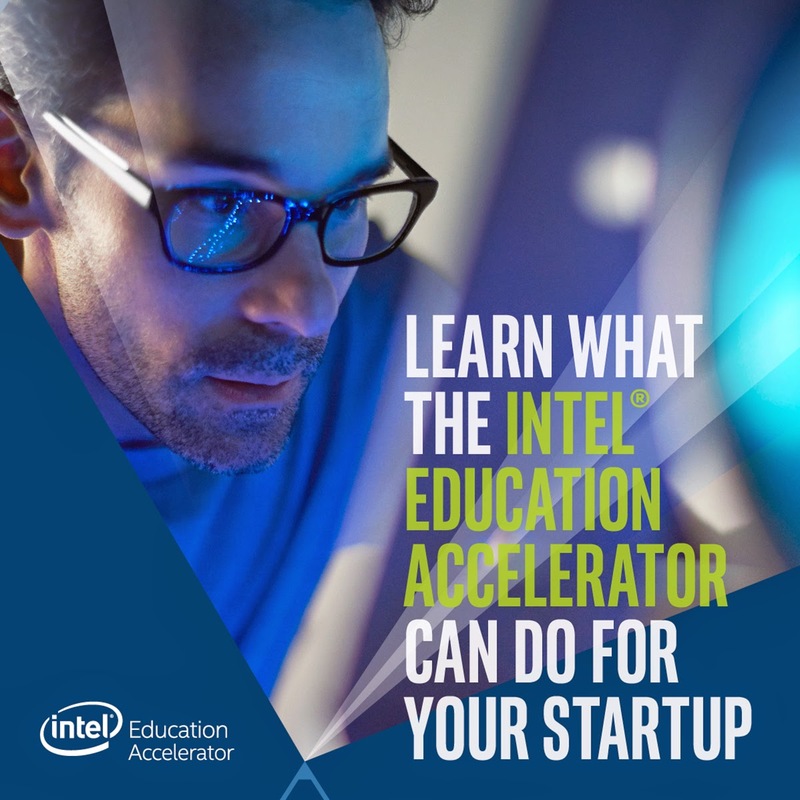 Learn What The Intel Education Accelerator Can Do For You! I am excited to partner with Intel to announce the launch of the Intel Education Accelerator program! The Intel Education Accelerator program is dedicated to entrepreneurs in the education technology space who are looking to help transform the industry. As you know, edtech is a vital part of preparing students for 21st century success – something Intel is passionate about. So do you have an idea you want to get off the ground to help kids in the classroom? Check out www.intel.com/EduAccelerator to learn all the details. But hurry. You only have until May 22, 2015 at noon, Pacific Standard Time. Seriously, this is your chance to get that idea off the ground that you believe can have a serious impact on teaching and learning.